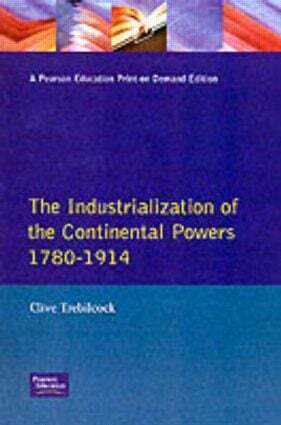 The Industrialisation of the Continental Powers is both a broad survey of the process of European industrialisation from the late eighteenth century to the First World War, and also a closely argued comparative economic study of how this process was experienced by different great powers. 4. Russia. 5. The powers of deprivation: Italy, Austria-Hungary, Spain. 6. Anti-models. 7. Statics and structures.